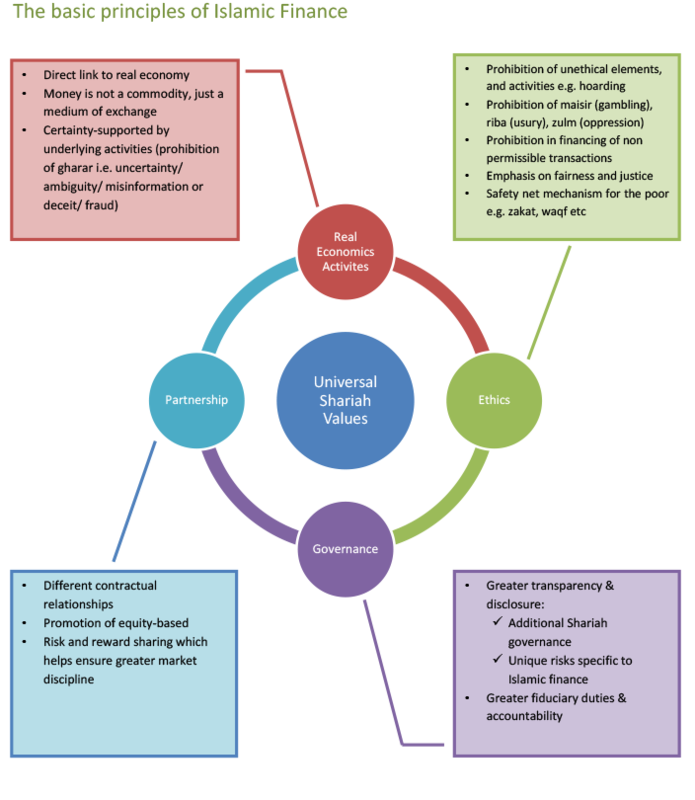 Islamic finance is derived from divinely-revealed principles governing faith, conduct and legal injunctions. Defined as Shariah, they are a set of ready-made and given guidance principles which govern the way Islamic finance is transacted correctly. Central to Islamic finance is the fact that money itself has no intrinsic value, where it is simply a medium of exchange. As each unit is 100% equal to in value to another unit of the same denomination, exchanging of cash with another person should not result in profit. Due to this, a Muslim person is not allowed to benefit from lending money or receiving money from anybody. Due to this, Shariah-compliant financial and banking practices strictly prohibit the practice of earning and giving interest (riba'). Any Return to the capital owner must be generated via investment and trading activities that are executed as guided by the Islamic law of transactions (fiqh al-muamalat). Additionally, Islamic finance promotes conclusion of contract by mutual consent, an obligation to fulfill all obligations as well as recommendations of having attestations and security, or collaterals.